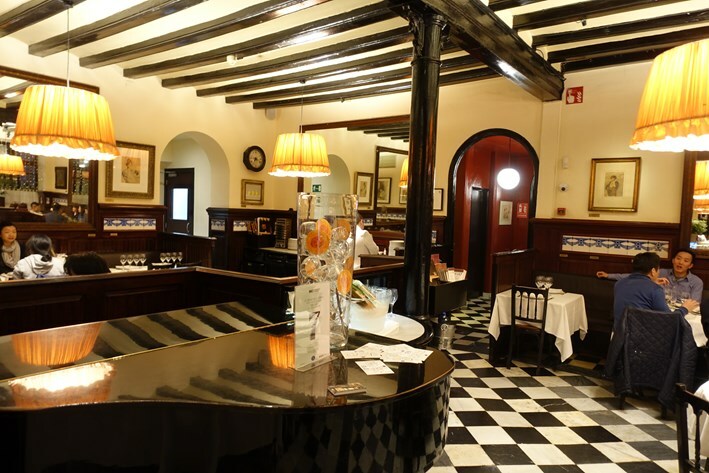 This is part of the history of Barcelona, having opened its doors way back in 1836. The building was commissioned by a local businessman called Josep Xifre, who wanted something that incorporated arcades that he had seen in Paris. The original building, incorporating offices and a luxury café, had seven doors open to the public, which explains the name. 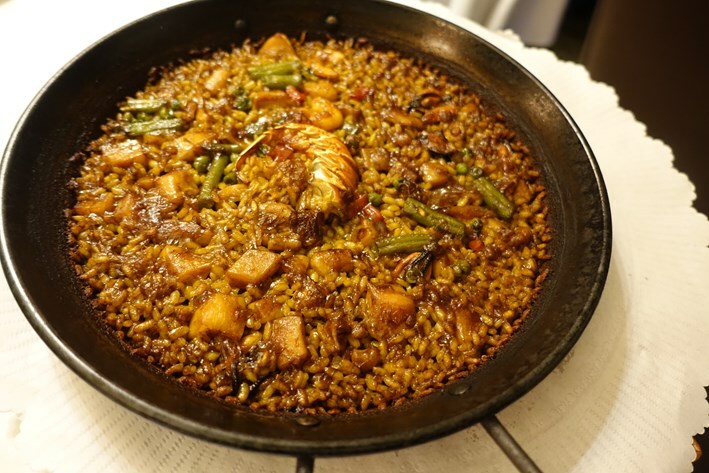 It serves Catalan food and is noted for its paella. 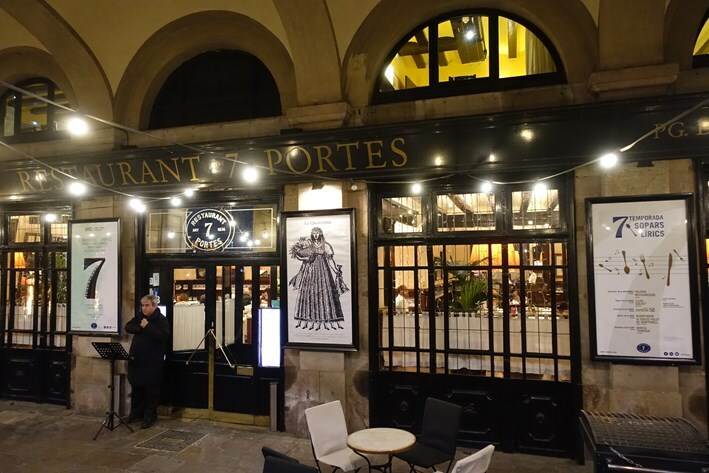 7 Portes is a large restaurant, seating over 200 diners at any one time, and with large and quite well spaced tables. The menu has mostly seafood, though there are a few options for carnivores too. The wine list had some quite kind pricing and started as low as €15 a bottle, the whole list seeming remarkably generous, especially by the rapacious markups of London. It did, however, omit vintages, which I always find irritating. There was Marques de Riscal Sauvignon Blanc at €21.50 for a bottle that will set you back around €10 in the high street, Vina Tondonia Reserva at €40.90 compared to its retail price of about €40, and Vega Sicilia Alion 2014 at €84 for a bottle that will currently set you back €83 in a shop. There were a few grander offerings such as Vega Sicilia Valbuena (5) at €175 compared to its retail price of about €145, and even Vega Sicilia Unico of mysterious vintage at €350 for a wine whose price clearly varies significantly by vintage but for recent years varies in the range €356 retail price for the 2005 up to €434 for the 2003. Whatever vintage it was, the price here was not even the shop price. 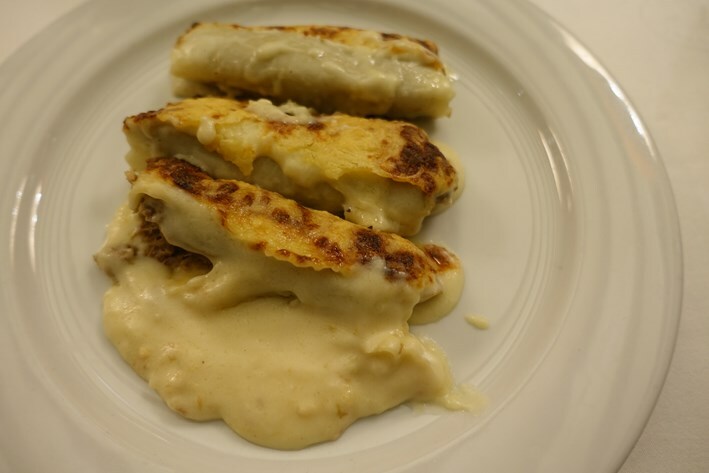 Cannelloni with a meat filling had pasta with good texture and a pleasant if slightly under seasoned meat filling, the bechamel sauce a little heavy (13/20). The seafood paella had nicely cooked rice, with prawns, mussels and squid that were carefully cooked, the rice having being cooked with a richly flavoured stock (14/20). 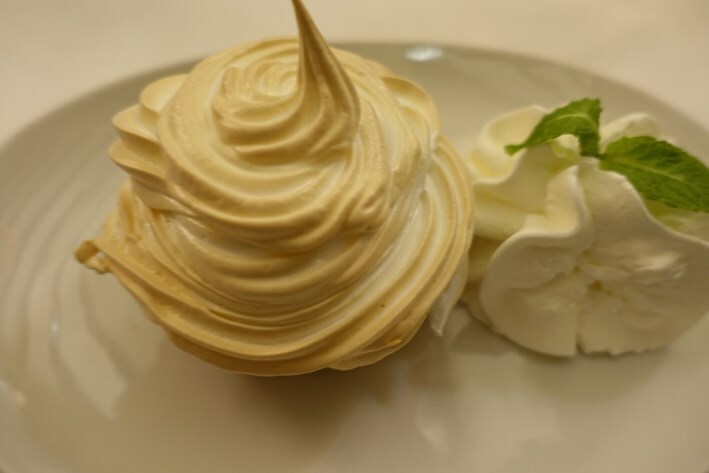 I tried a lemon tartlet for dessert but this was not good, possibly bought in as it had too much cream and not enough lemon, with somewhat hard pastry (11/20). Coffee was reasonable. Service was pleasant and the bill came to €104 (£90) per person, with a bottle of Alion to share. Overall, I quite enjoyed 7 Portes despite some inconsistencies, and certainly the paella was good. 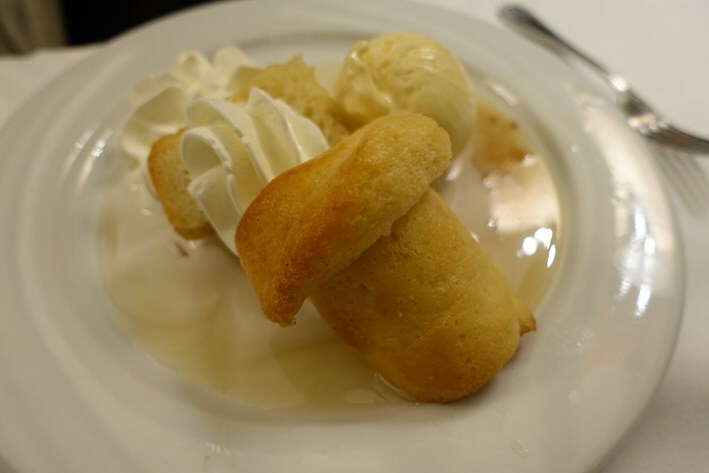 It is a taste of historical Barcelona.